Welcome to the Comfort, Luxury, and Affordability of living in this wonderful 2 bed 2 bath Condo nestled in Sherwood Place. 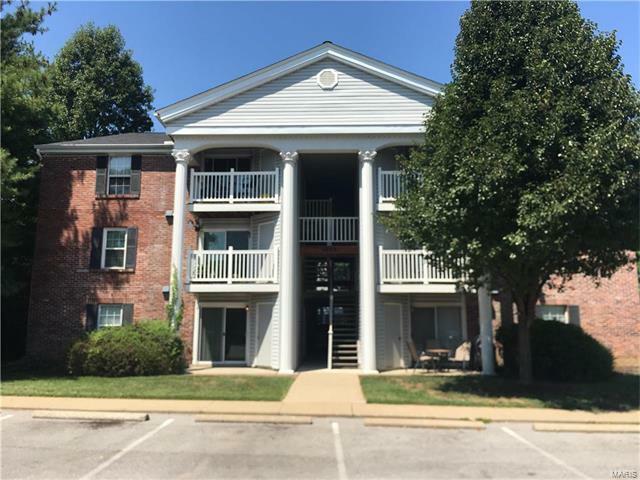 This main level unit has been wonderfully renovated. The beautiful living room now features wood flooring (2013) and can lighting (2013). The kitchen features smooth top self cleaning range, refrigerator, dishwasher and ample sized pantry. Master bedroom has ample closet space, new window (2016), and attached bathroom. Both bathrooms have been completely renovated with new tile, vanity, and shower. In unit Washer/Dryer (2013), Patio W/ Storage Closet and Swimming Pool make this a truly amenity rich Home. Low Low HOA dues!! Only 146 per month. This Maryland Heights home is stunning. Please set up your appointment today for a private viewing. Take Highway 270 to West On PAGE. Right On BENNINGTON. Left On MARINE To Left On MARINE TERRACE. Take this road into Sherwood Place. Building is past Sherwood place's pool on the right.